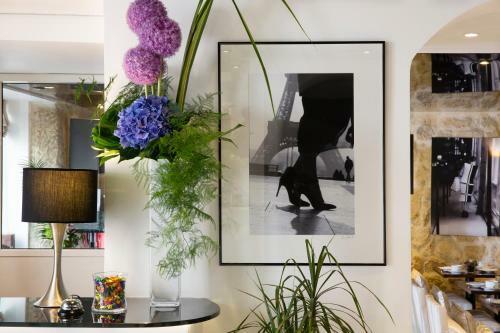 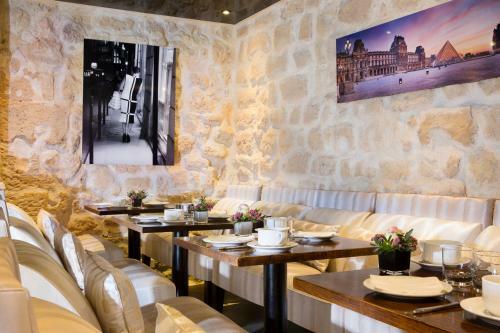 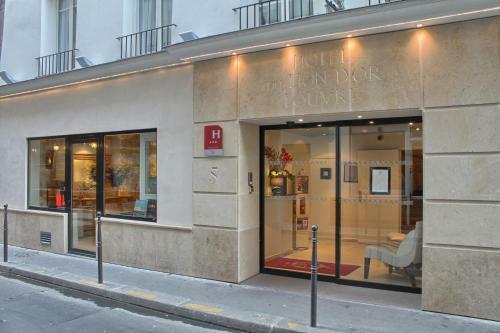 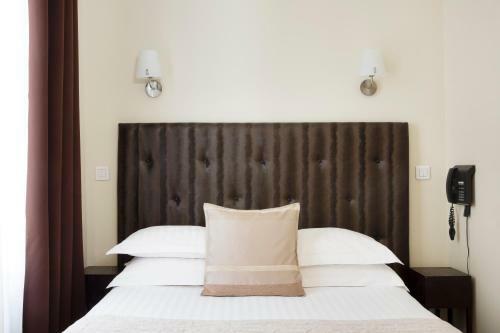 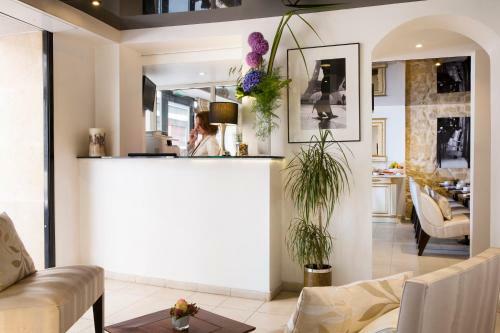 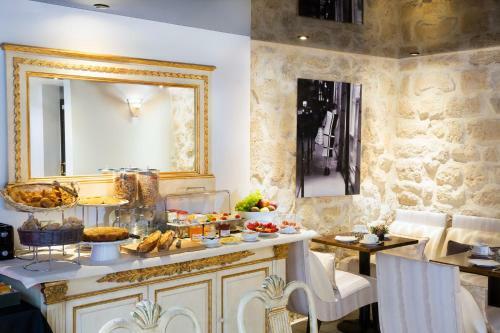 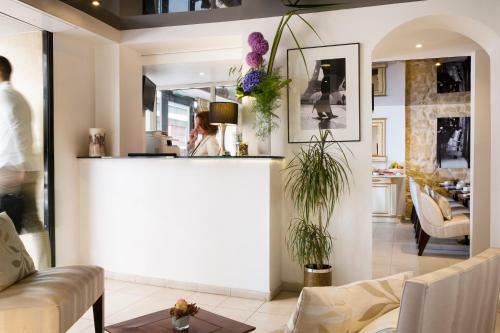 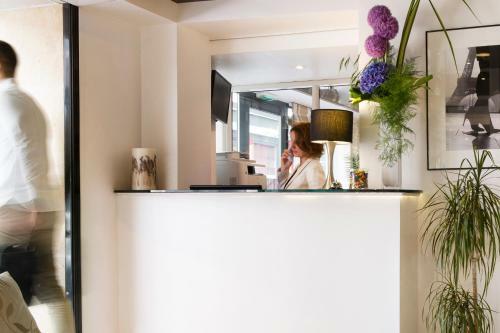 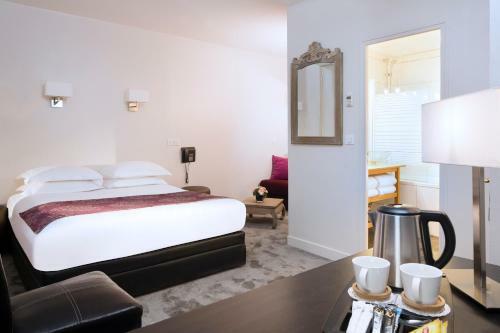 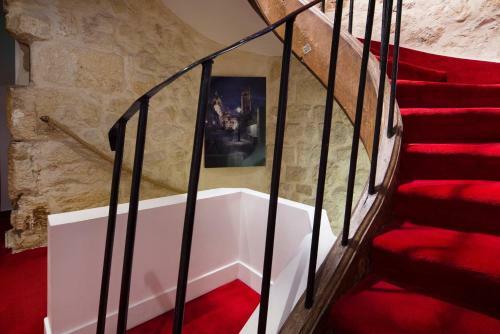 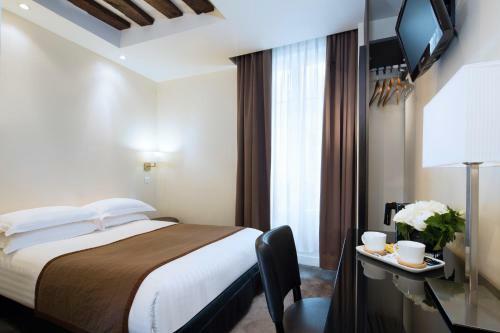 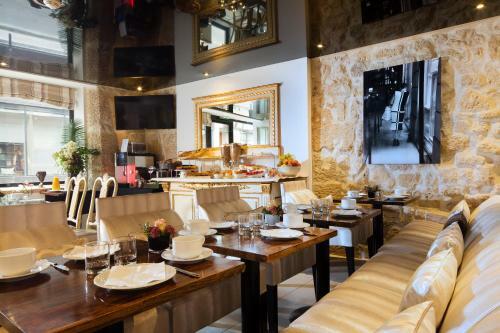 Located 200 metres from the Tuileries Garden, this hotel and residence is a 5-minute walk from the Louvre Museum and a 3-minute walk from the nearest Metro Station. 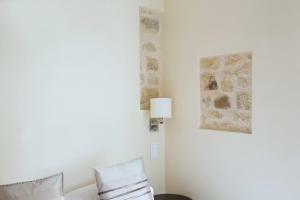 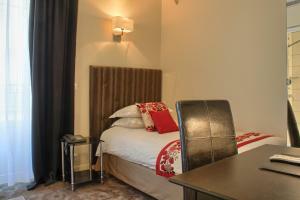 It offers en suite rooms and apartments with free WiFi access. Serviced by a lift, each room has satellite TV and a telephone. 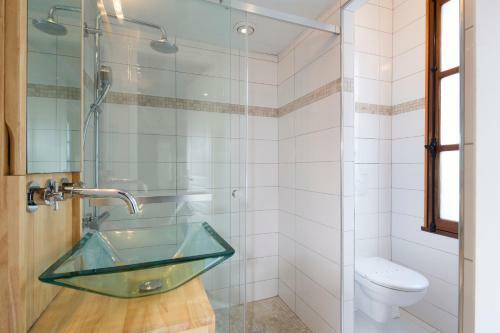 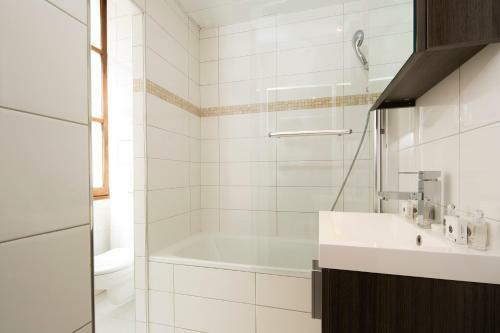 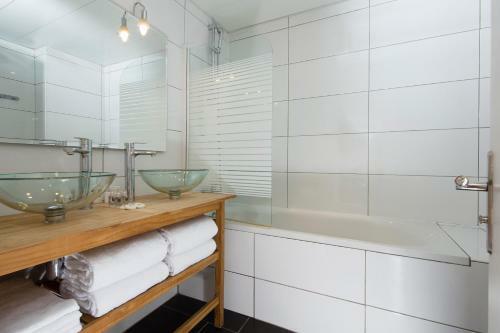 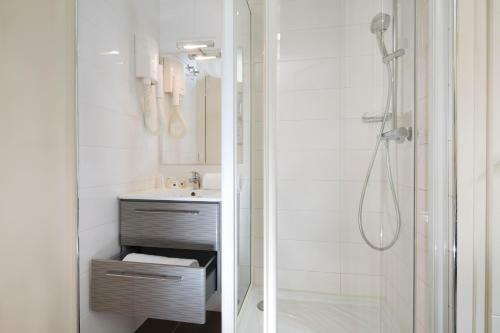 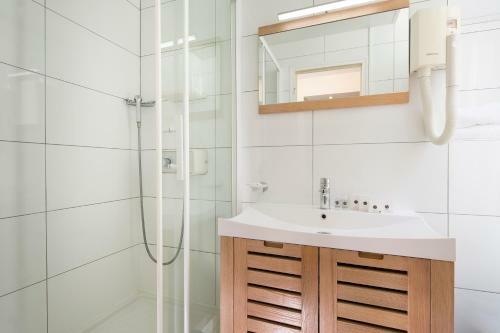 The private bathrooms are fitted with a walk-in shower. 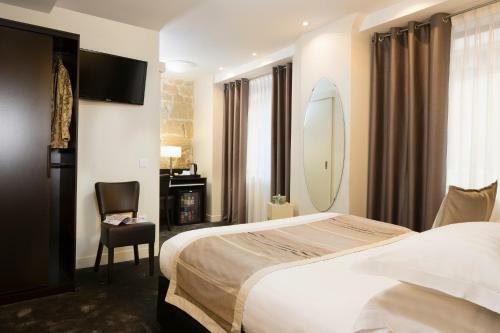 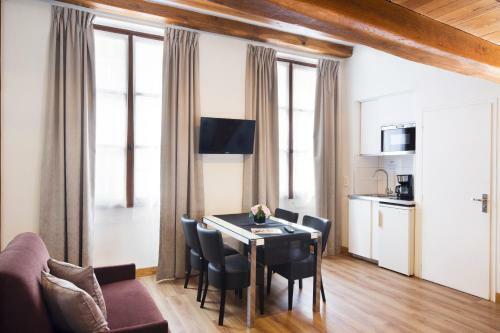 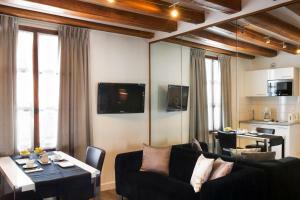 The studios and apartments at Hôtel du Lion d'Or Louvre feature satellite TV and a seating area. 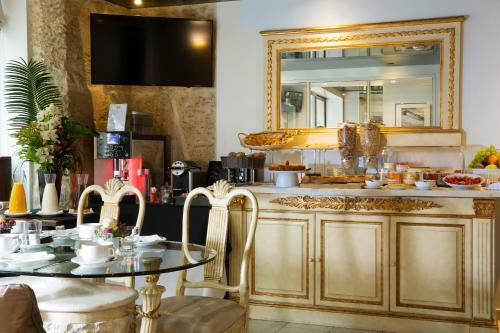 They also have a fully equipped kitchenette with a fridge and microwave. 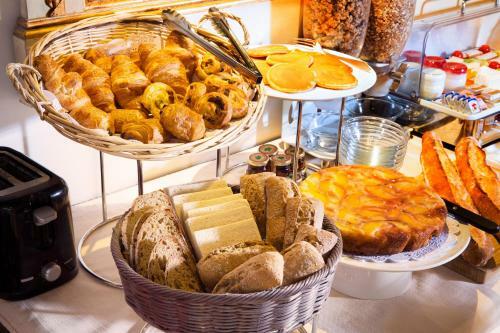 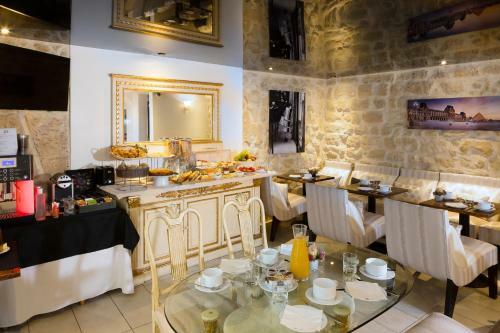 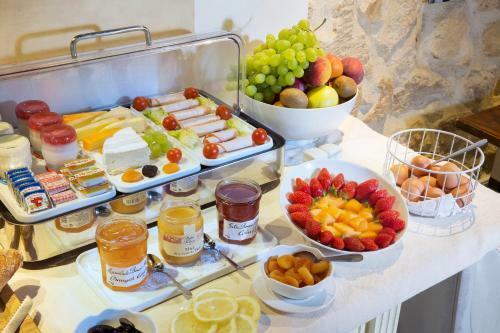 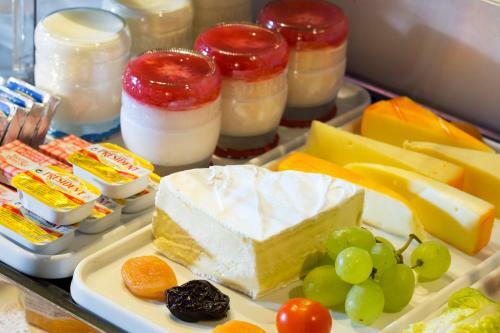 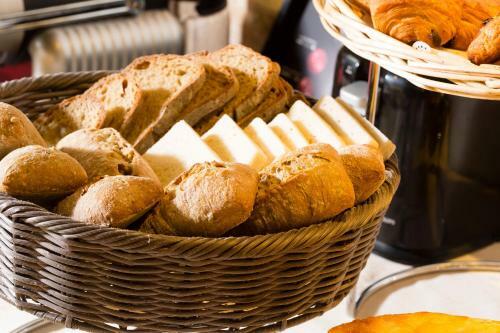 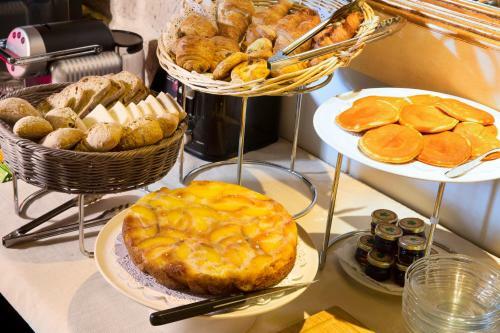 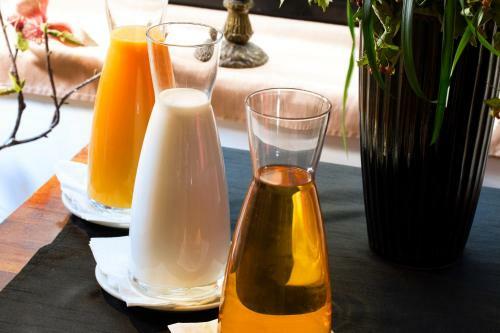 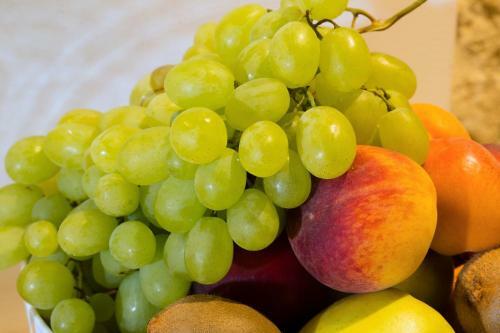 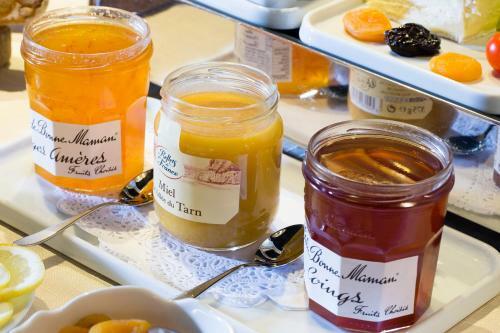 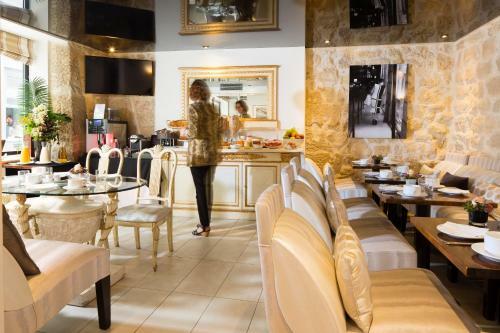 A continental breakfast is served every morning, and can be taken in the guest room or in the breakfast room while reading the daily newspapers provided. 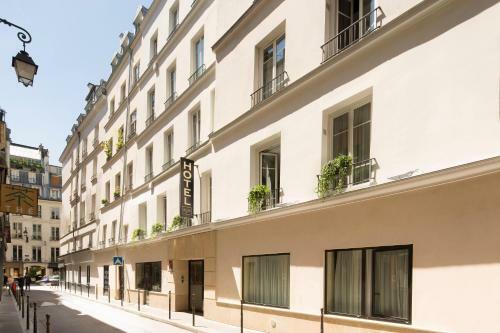 Tuileries Metro Station is 300 metres away, providing direct access to the Champs Elysées, Arc de Triomphe and La Défense business district. 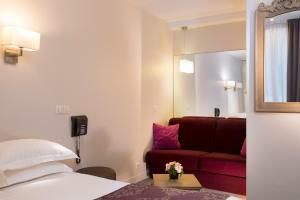 The Musée d’Orsay is a 20-minute walk from the hotel. 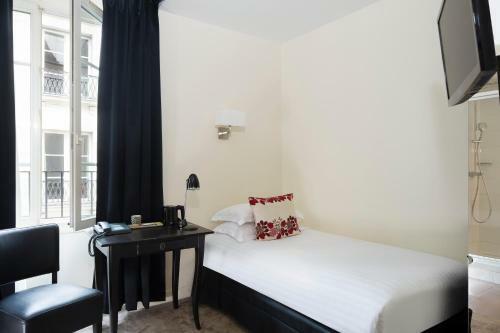 This room includes a flat-screen TV with satellite channels and a private bathroom with a hairdryer. Rate: € 104.00 ... € 305.00; select dates below to get current rates. 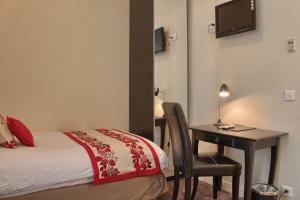 This room includes a flat-screen TV with satellite channels and a private bathroom with a hairdryer. 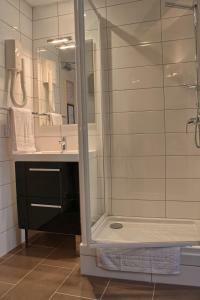 Extras include a laptop safe. 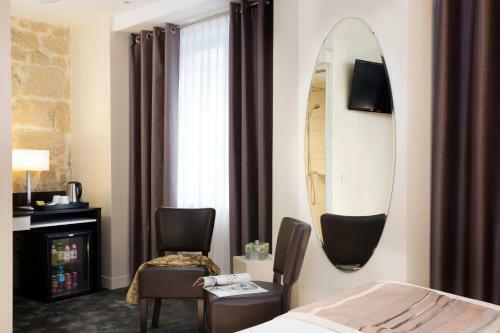 This spacious suite includes a flat-screen TV with satellite channels and a private bathroom with a hairdryer. Extras include a laptop safe. 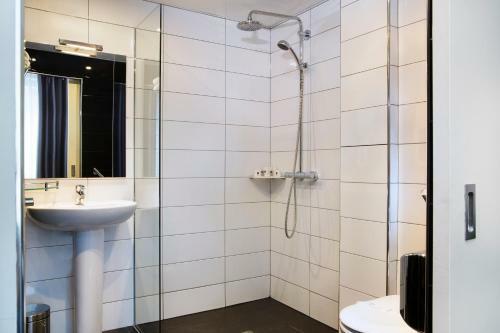 This room includes a flat-screen TV with satellite channels and a private bathroom with a hairdryer. It has 1 double bed on the main floor and 1 double bed on a mezzanine. 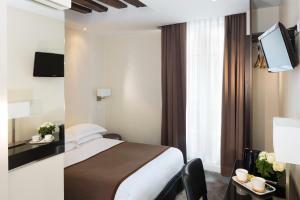 Please note that this room is in an annex building located opposite the hotel, at 6 rue de la Sourdière. 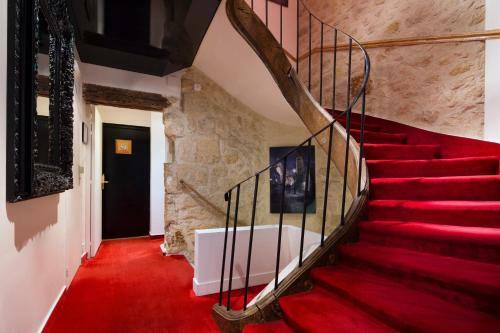 There is no lift to access the room.